In only 10 days, a trendy game was designed and produced by team 4. 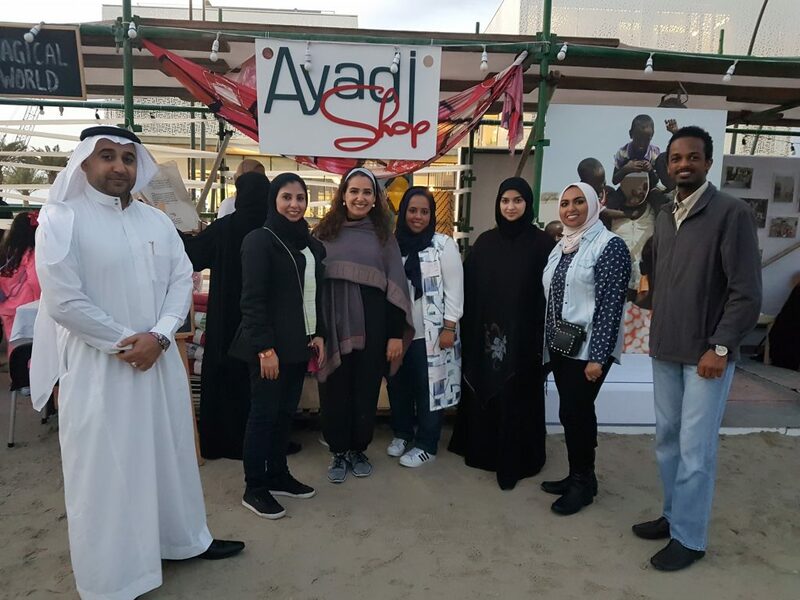 As part of the Project Management course, the team has selected a project to produce a product for Ayadi Relief Organization as a fund-raising project. The team has managed to experience the role of project management and its tools to carry on the project and deliver an amazing product in only 10 days from the inception till the rolling of the product. 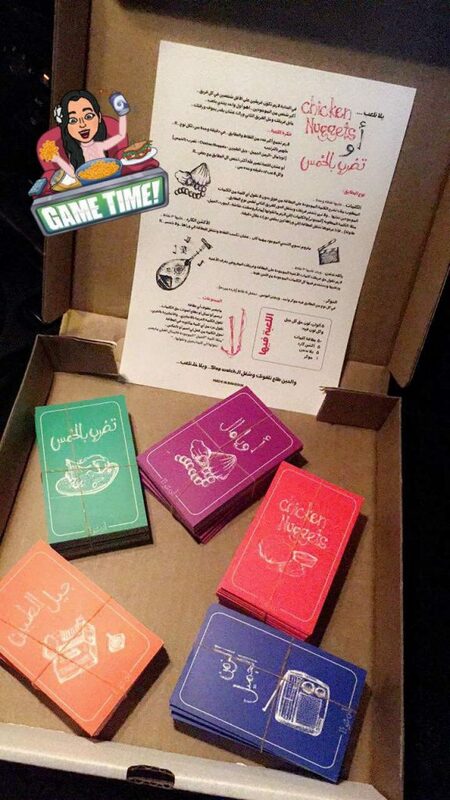 The product is a family card game which its objective is to link between the heritage of GCC countries and their modern culture which has been influenced by the foreign cultures. The game takes the players into different eras by introducing the slang words and characteristics of each era. 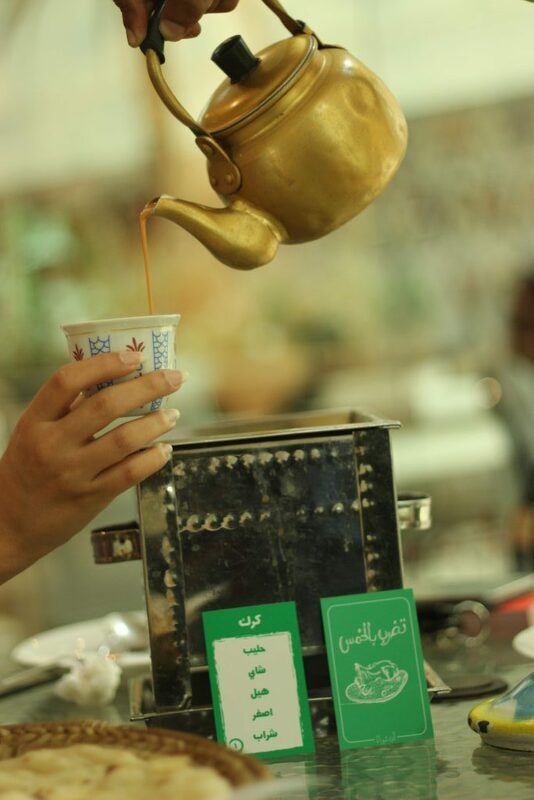 The game is named in Khaleeji dialect (slang) and inspired by its content and culture. 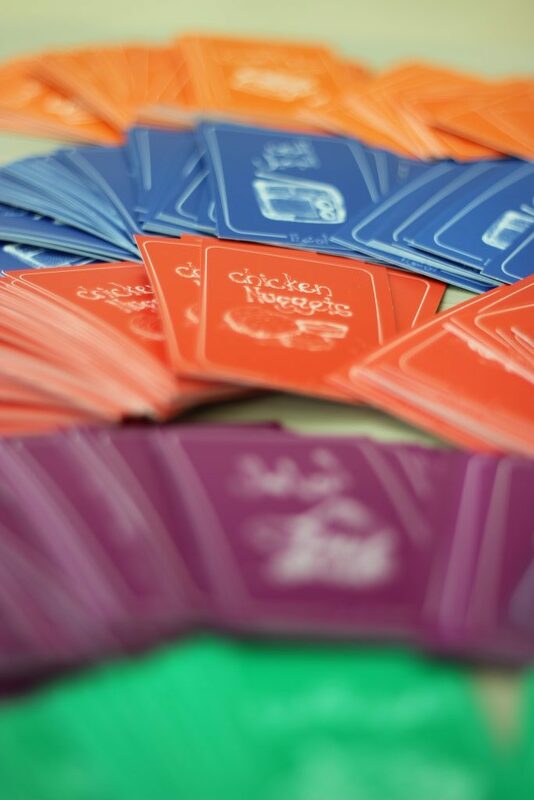 The number of games sold in the launching event was above the team expectation and the team was able to cover its cost and start generating profit. 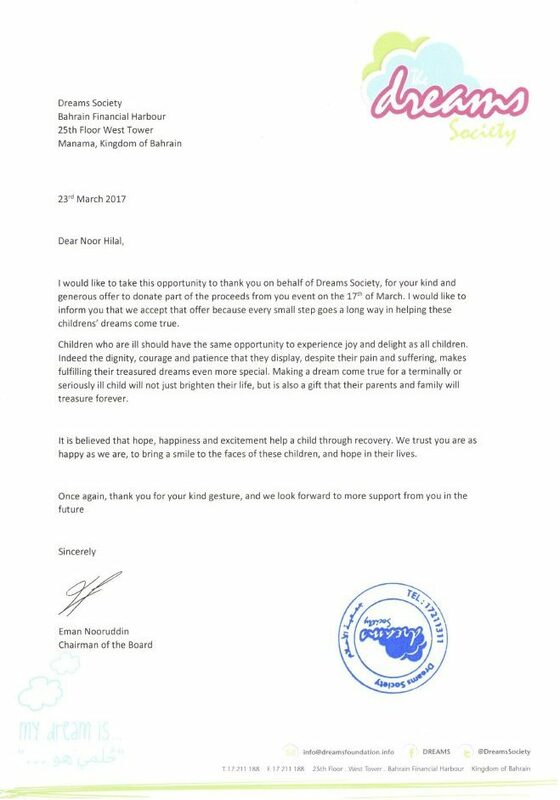 The income of the game will be donated 100% to the charity organization. 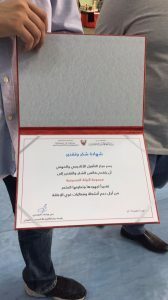 The project has faced challenges during the implementation, however with a great management and controls, the project was success, and achieved its goal. At the end of the project the team has achieved all its goals, and had an amazing time and fun during the implementation of the project and the event. 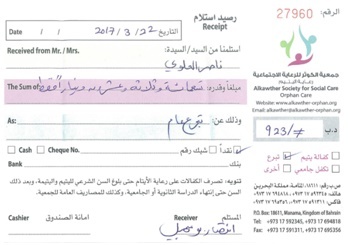 Only within a day the team manage to raise a total revenue of BD 1,870.393 from selling the game and donation, and after paying all the expenses it ends up with a profit of BD 893.493. 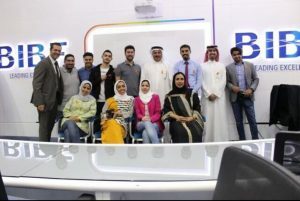 The organization managed to continue selling the product and obtained additional BD 500 by the end of the course to reach a total profit of BD 1,393.493 which is equivalent to $3,691. 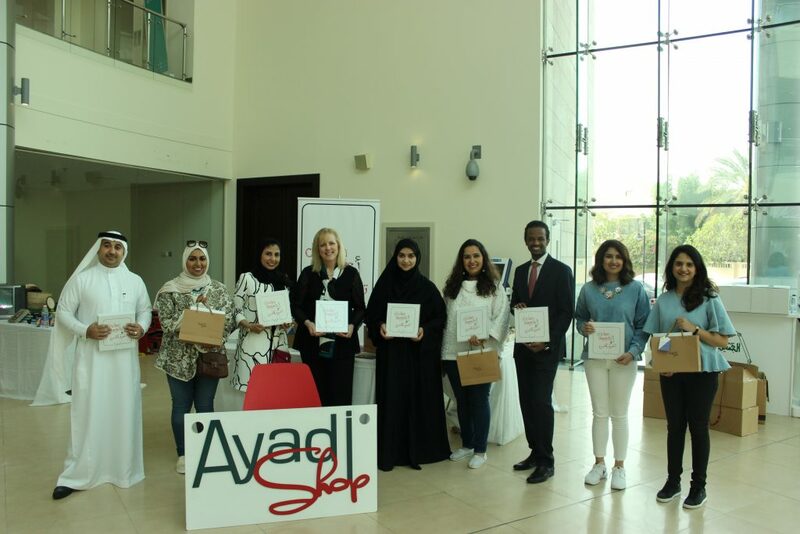 Ayadi Relief is a Bahraini relief youth-led organization, passing for giving. 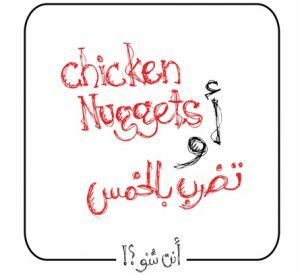 Their aim is to provide relief to poverty stricken countries and help with their education and social needs. 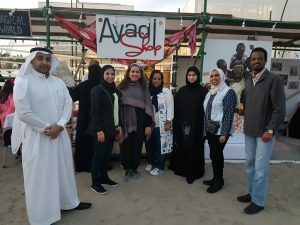 After our visit to Ayadi Relief event which was held on 3rd and 4th March 2017, we observed that Ayadi Relief organization has implemented a good initiative of having a sustainable income to cover their admin charges, specially that all their funds raised from their events goes 100% to charity projects unlike other organizations. However, they lack of creative and diversity products in their shop. We observed that they had only two products that were sold, and that was not enough to sustain their income. 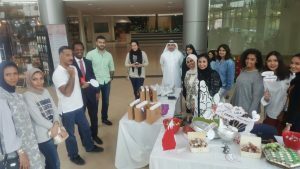 Therefore, the idea of the project is to support their initiative by creating and producing a new product to be sold in their shop. A customized board/card game was a creative suggestion to be developed for Ayadi Shop. 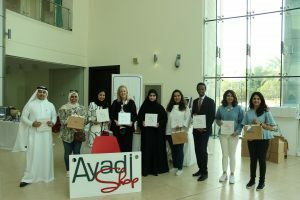 Design and develop a finished product to be sold in Ayadi Shop. Designed a trendy card game. 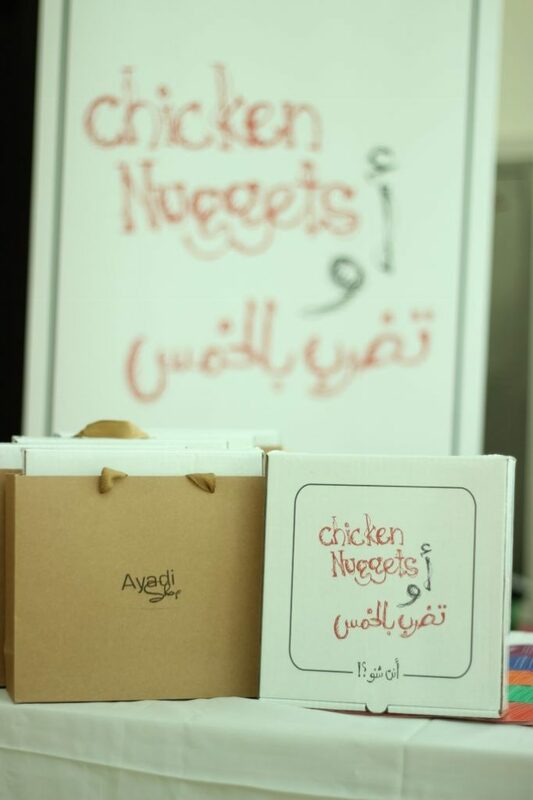 A creative product for Ayadi Shop. The product shall be delivered to Ayadi Relief organization by 18th March 2017. The product has been completed on 16th March 2017, and was able to be sold on the event on 18th March 2017. Produce at least 60 units for the launch event. 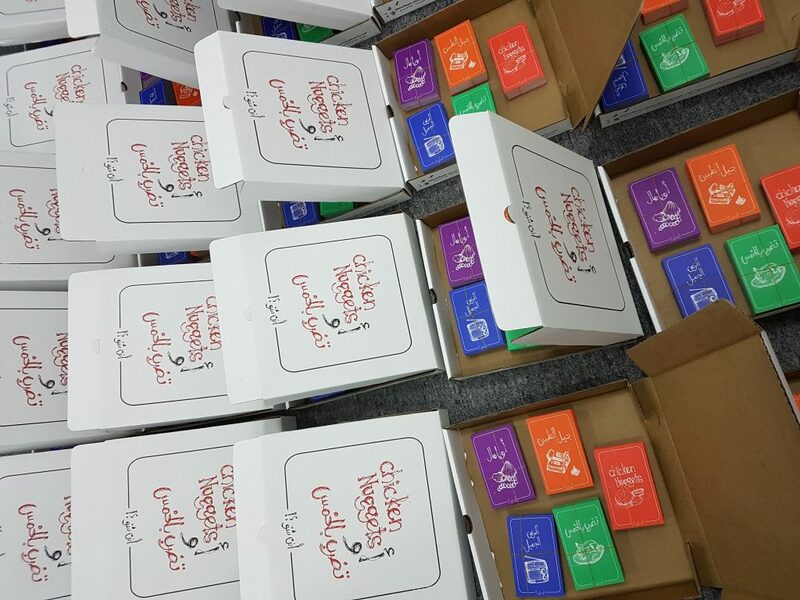 Produced total of 300 units, which more than 100 was sold on the launch event. 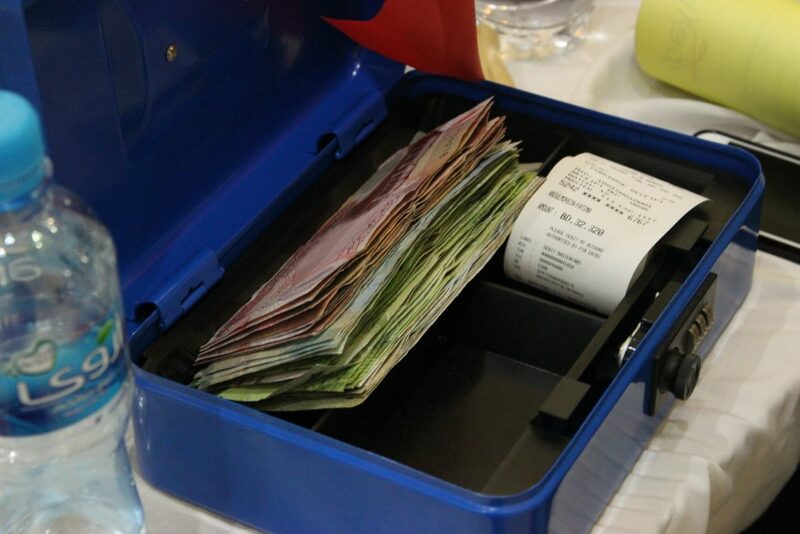 Generate revenue of BHD 600 ($1,590) at the event. 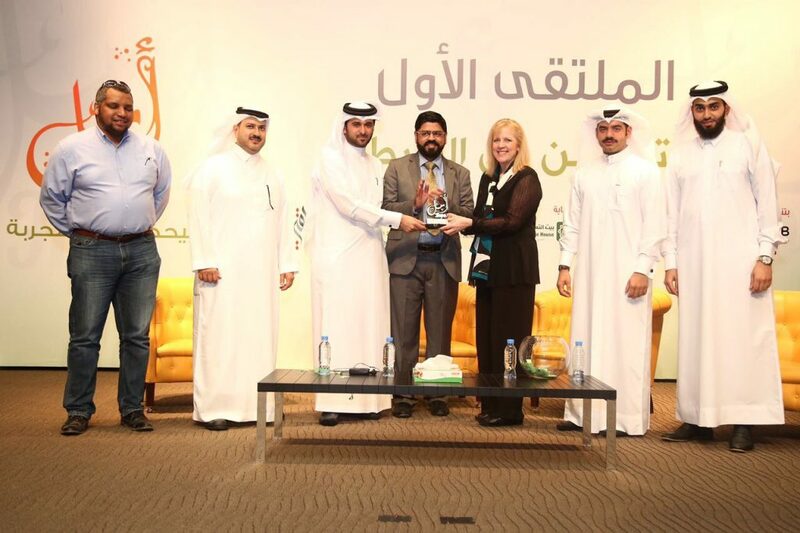 Generated revenue of BHD 1,870 ($4,953) at the event. The project success was due to a coherent team. We managed to understand each other’s skills, talent and passion. Understanding the project goal and scope by all team members made our results in line with the organization’s vision. 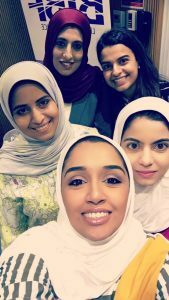 As a team, we exercised several methods of communication between us, face-to-face meetings every other day, daily progress report via emails and text messaging, and conference calls whenever is required. 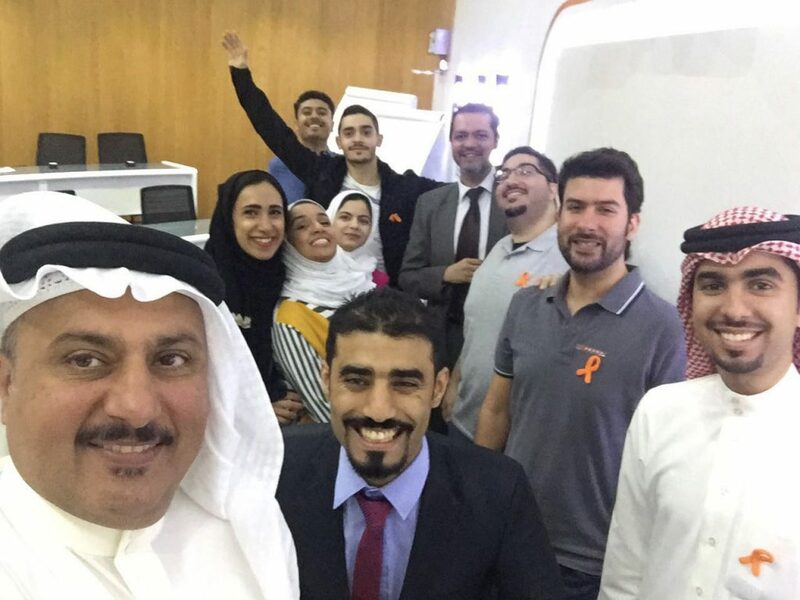 The most important lessons learned is that you should be passionate about what you are doing, and love what you work on, enjoy every moment and have fun; this was truly what empower us to deliver. − Communicate with the printing press at very early stage, upon agreement of the project idea, in order find a sponsorship or at least cover the printing cost, to avoid having limitation of the budget, which ends up with funded by the team. − Quality control should be carried out before at least two days prior to the event, to avoid waiting till the last minute to correct any default or defects. 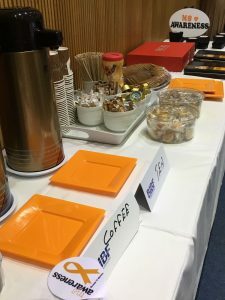 That would make the team feeling comfortable at the time of the event and make sure we provide a product with a quality standards. − The design of the product took more time than what we have forecasted, that affected the target of all other milestones. Dealing with competent designer and agree ahead time through face to face interaction would have met the schedule of the design phase. 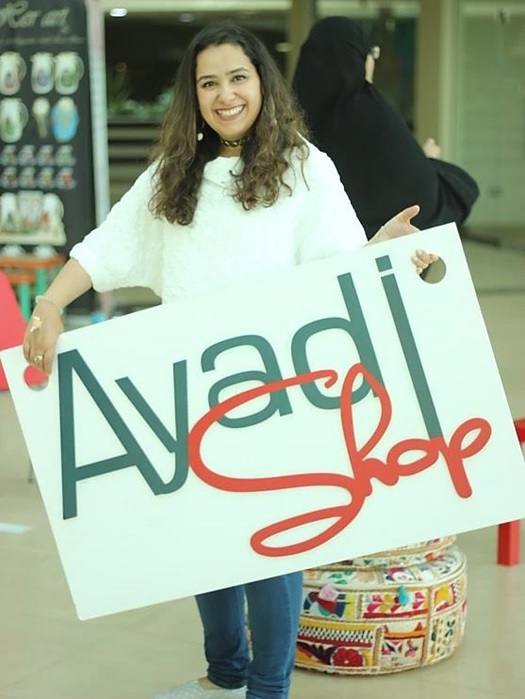 − Time of the event was short, we have received several feedbacks from visitors to extend to three hours instead of two, however, we couldn’t change the plan as scheduled ahead and discuss that matter of the Riyadat mall. − Lastly, Riyadat mall was a hot spot and we managed to have quite number of visitors on the event. It would be better if we could explore more hotspots so we can select a better accessible one in order attract more visitors. 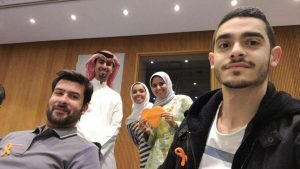 Based on the above lesson learned, we would suggest team having a challenging project deliverables and limited time, to keep working on the project on daily basis and stick to the timeline of each milestone to avoid any last-minute hassles. Moreover, any project with multiple and complicated stakeholders should have at least a meeting every other day to monitor the progress and check contingences. 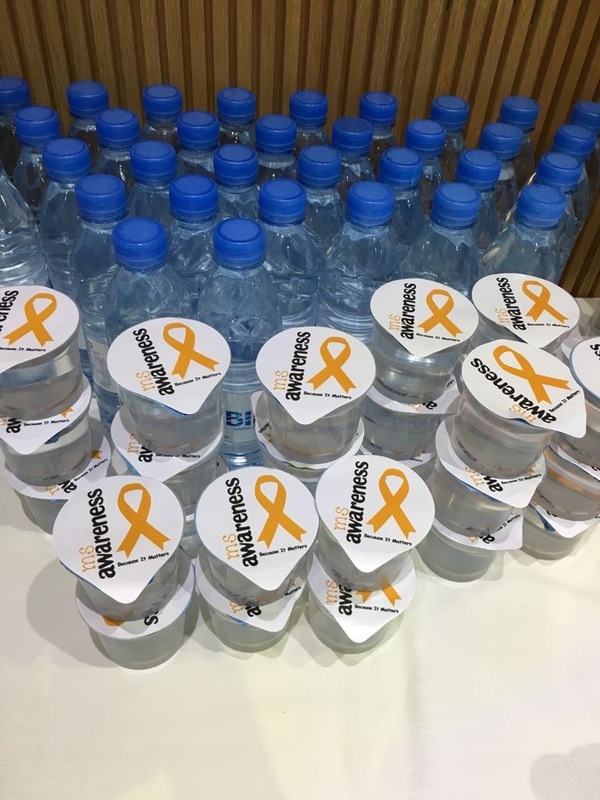 Developing a product for charity fundraising required a solid sponsors and financers which a key element to go smoothly with project, conducting several meetings with the potentials sponsors would make the team focus more on the product quality and event arrangements more than financing and supply management since budget was so limited. Marketing was a key element on the success of the project, we use all type of marketing starting with brochures, papers, make demos on the game and social network as much as we can to attract more visitors to the event. We have applied the idea of pre-order concept so that we take customer voice on our side as well. Marketing is one of the key success factors that helped us to achieve the KPIs of our project. 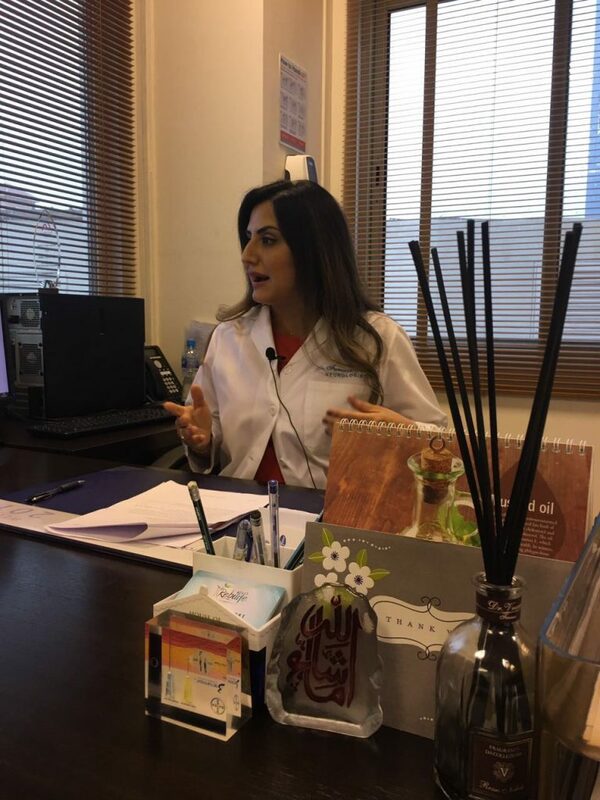 We would suggest evaluating the progress of the project results on daily basis in to measure the need of plan B and C and keep ready in case of any critical situation arises at certain time to start implantation immediately. Be passionate for giving, love what you do, be proud, and enjoy your time. 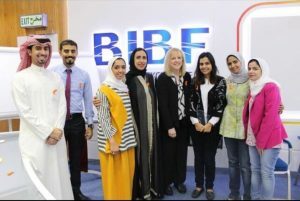 As part of DePaul’s MBA program, held at Bahrain Institute of Banking & Finance, each student need to participate as part of Project Team to held an event, it could be charity, service, etc… in this regard Group # 8, comprising of 6 members, gone through projects held by earlier batches of the same course. Result of idea brain storming session, was to come-up with something unique, never happened in Bahrain Held Cancer Awareness Program and Discussion Forum, at Princess Al Jawhara Centre for Molecular Medicine & Inherited Disorders, with support of local societies participating for the same cause, correctness of cancer miss-concepts and importance of family’s moral support and provide awareness to society of cancer disease in general, as well as Success Stories of patients who survived, with their continuous hi spirit. 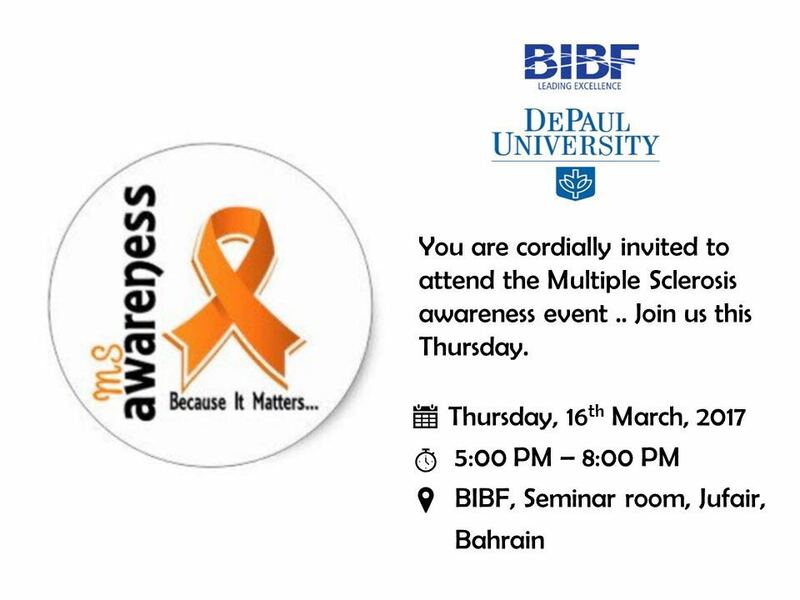 Keeping in mind that this event will be pioneer as discussion forum for cancer survivors. i.Background: Purpose of holding this session was to spread Cancer Awareness and sharing Success Stories of Survivors, aiming to bring maximum number of affected people, both patients and family members, under ONE roof, to share their experience and how they managed to live again, with their willingness and well power. 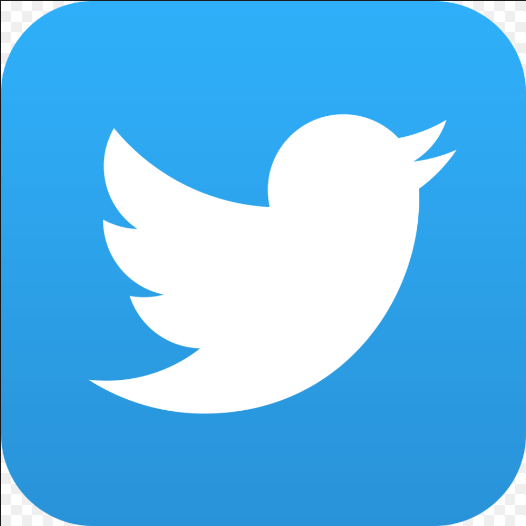 Covey the message using Social Media, TV Coverage, Radio, YouTube, etc..
e.Closing: Upon completion, project closed formally, after full-filling all requirements identified at initiation and planning phase. 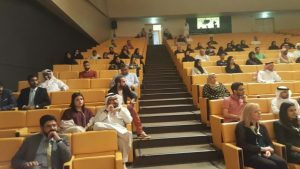 Number of Audience: Targeted number of attendees is around 200, which was the main reason for choosing the current venue. The actual number of attendees exceeded 250. 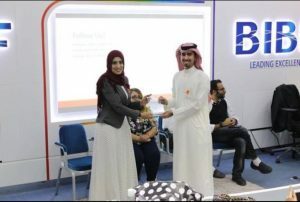 Sponsorship: Efforts exerted to maximize the support for companies, which will eventually help in reaching maximum people, and increase number of attendees as well, targeted sponsorship amount is BHD 1000, and actual sponsorship exceeded BD 1,700. TV/Radio Coverage: Event announcement and coverage through national TV or Radio. Feedback: “Hope” is the name of our event; feedback collected through survey. 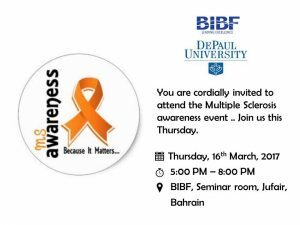 The project aims to spread public awareness about Multiple sclerosis (MS) disease. 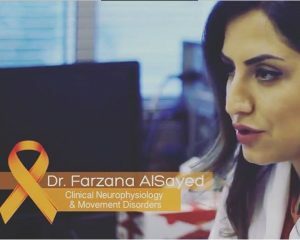 MS disease affects the brain and spinal cord and it usually targets patient in the age range between 20 and 40 but there are reported cases of children with MS. Unfortunately, the cause of MS is still unknown and there is unknown cure for it. 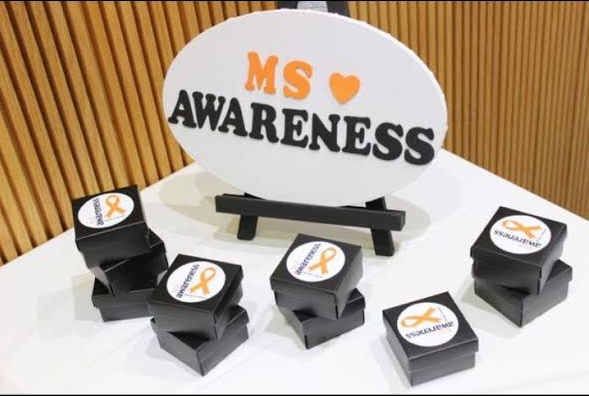 MS’s most common symptoms are loss of sensitivity, muscle weakness, blurred vision, and difficulties in movement and balance. 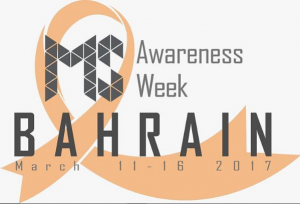 The main event of the project was to invite the public to attend a session in which they can interact with MS patients and it was planned to be conducted within the National Multiple Sclerosis Awareness Week. 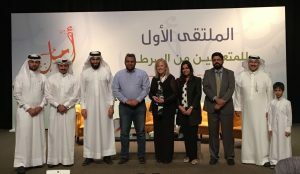 MS patients were invited to the stage to narrate their personal stories and spread awareness about the disease, their needs, and society’s responsibility toward MS patients. 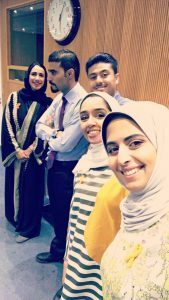 We organized the event and ensured participation of Bahrain MS Patients Society and they invited patients from different nationalities and backgrounds to participate as main speakers. 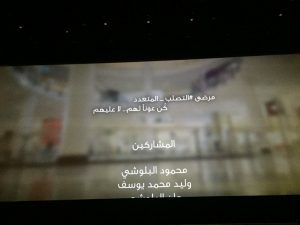 Showing a 2 minutes’ video about the MS disease in Bahrain Cinema during the peak hours (weekend). 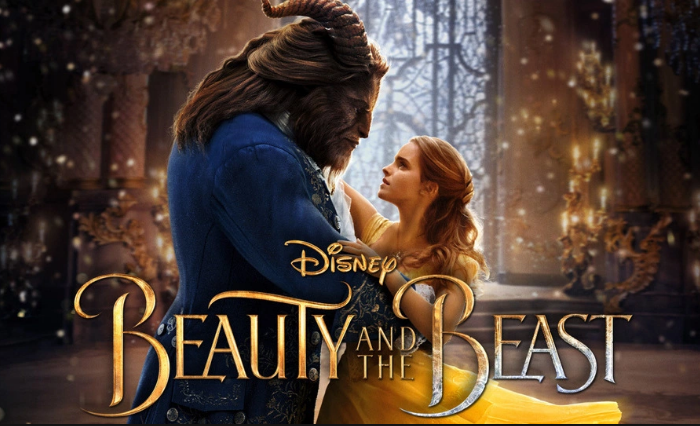 The cinema has preliminary agreed to show the video for one full day with a minimum cost. 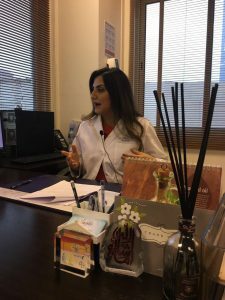 Video Interview with a Neurologist. An interview with Dr. Farzana AlSayed, Clinical Neurophysiology & Movement Disorders, to discuss MS. Proper Planning is essential. During idea proposal time the team may get excited and propose addition of many activities to the project to have a bigger project. 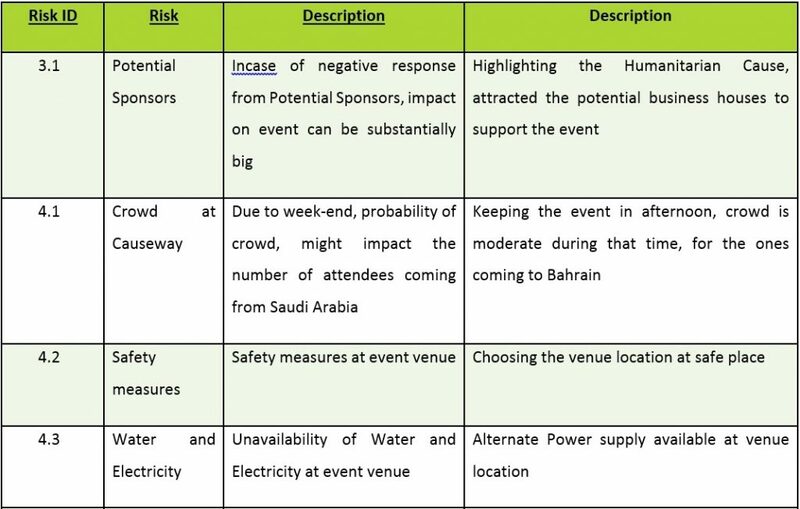 Planning of the activities using the techniques learnt for project management like WBS, time management, and resources planning are critical as these techniques will make the picture clearer of how big is the project. These techniques will help the team define the scope properly of the project and prevent them from the temptation to go beyond available capacity. Stick to the Plan. Once the plan is made the team should stick to the plan and monitor the progress always by comparing it to the plan. Time loss cannot be recovered and hence the members should always aim to complete the tasks before the planned time to accommodate any possible failure. Effective Communication is THE KEY. It is important to have effective communication between all the team members to delegate responsibilities among the team. The project manager does play a critical role in setting the communication plan but it is the responsibility of the all the team to communicate as per the plan. Effective risk management strategies allow you to identify your project’s strengths, weaknesses, opportunities and threats. By planning for unexpected events, you can be ready to respond if they arise. To ensure your project’s success, define how you will handle potential risks so you can identify, mitigate or avoid problems when arise. 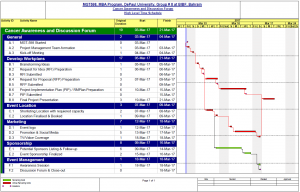 Overview information on how long tasks will take to complete, Early warning of any risks to the project, Information on workload, for planning holidays, Evidence, Historical information on how projects have progressed, and in particular, how actual and planned performance are related. Optimum utilization of available resource and Cost. Be sure to make realistic goals, especially with money goals and event attendance expectations. There is nothing worse than having high expectations and not being able to deliver. We should create realistic and attainable goals for our team and make sure the scope and deliverables of the project are well detailed and followed throughout the project. Try to stay on course and don’t get distracted or over burden our self by trying to do too much. Don’t get caught up in just trying to raise the most money possible or use the project as a competition. This project is about so much more. A project manager can make communications between group members more efficient and poignant. Communication is also simplified by having a project manager assign responsibilities and check ins, reducing additional messages and calls for follow up. 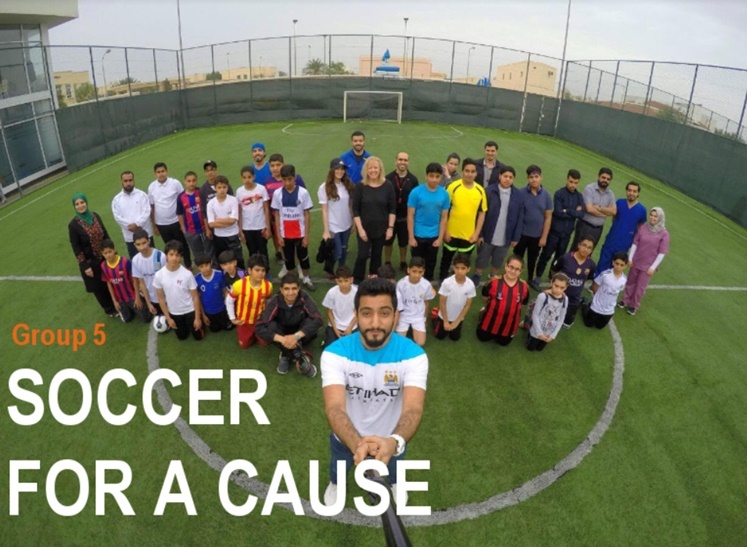 “Soccer for a cause” revolves around the concept of a soccer tournament that brings people together to raise funds for charity or a good cause. 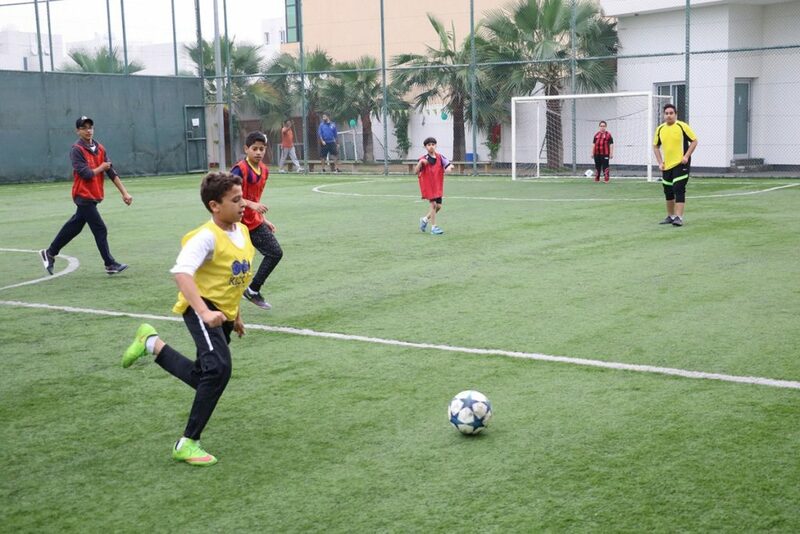 Our intended competition was to organize a 4 team – league format – event that would require us to register the teams by paying a small entry fee as a source of income to cover our initial costs. 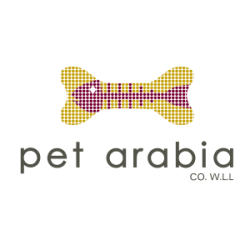 Proceeds from the event along with partial sales from various vendors would go towards our charity of choice. At the same time, we had initiated a Plan B to mitigate potential risks by putting in place a game day involving board games and mini events indoors at the same venue with a group of Orphans from one of the local orphanages. Given the vast amount of sponsorships and donations as detailed below, and considering both plans were moving swiftly, we felt we did not require to rely on the team registration revenue stream and instead could now amalgamate both plans. 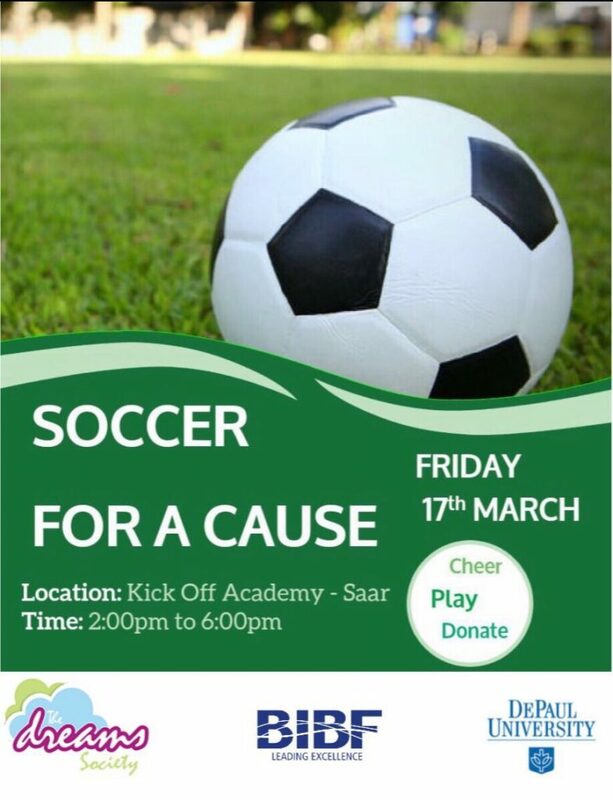 We decided to invite the orphans to form 4 teams and have an eventful soccer tournament which could now be catered for by the various sponsors, who were very responsive to providing the orphans with the opportunity for a fun day out. 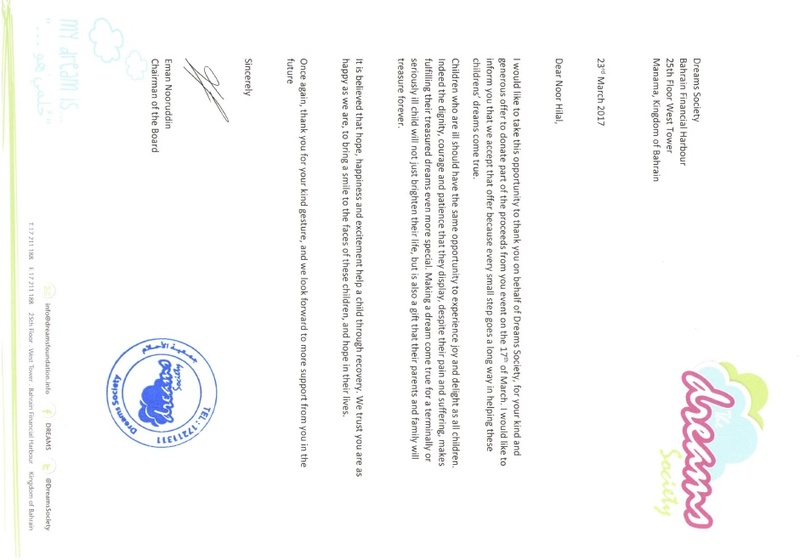 Based on this development we contacted the local orphanage and updated them on the development to which they gladly agreed. We therefore amended the event by bringing together our two plans. The event scope had now changed however we had the infrastructure in place to meet these proposed changes. 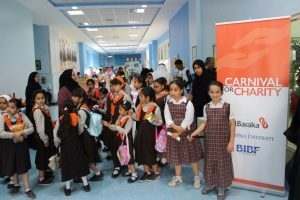 Minor changes such as providing lunch for the children and organizing the teams were done without much hassle – which was evident by the fact that we had stayed within the time constraints we had initially put in place. 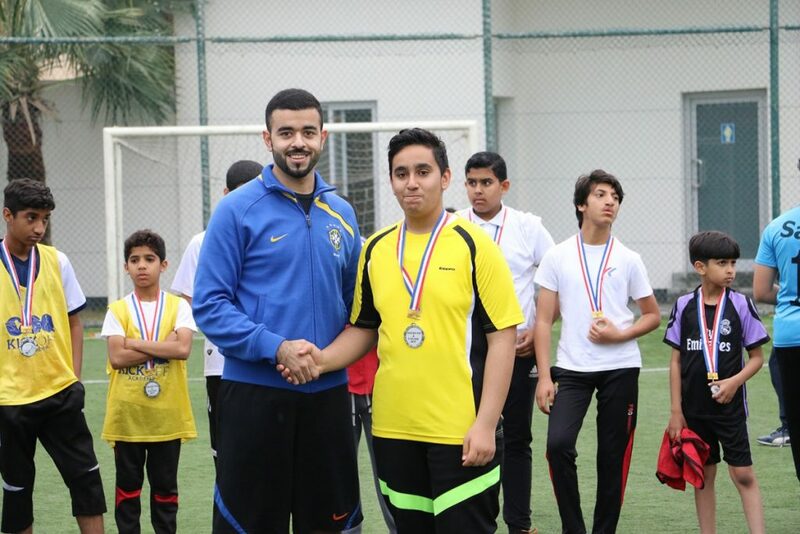 We even managed to organize a mini shoot out after the tournament and award ceremony to give away some games we had intended for our plan B for all our goal scorers and even gave one lucky shooter our own Cohort 12.5 inspired game “Chicken Nuggets”. 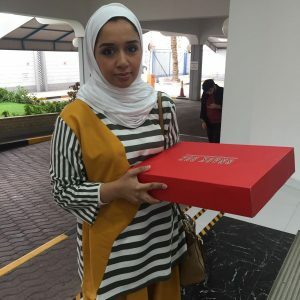 Dream society is a unique and active local society in Bahrain, their main goal is to bring joy to children who want to make their dreams come true. They focus on children with illness “not limited to the following” cancer, cystic fibrosis, cerebral palsy and muscular dystrophy. 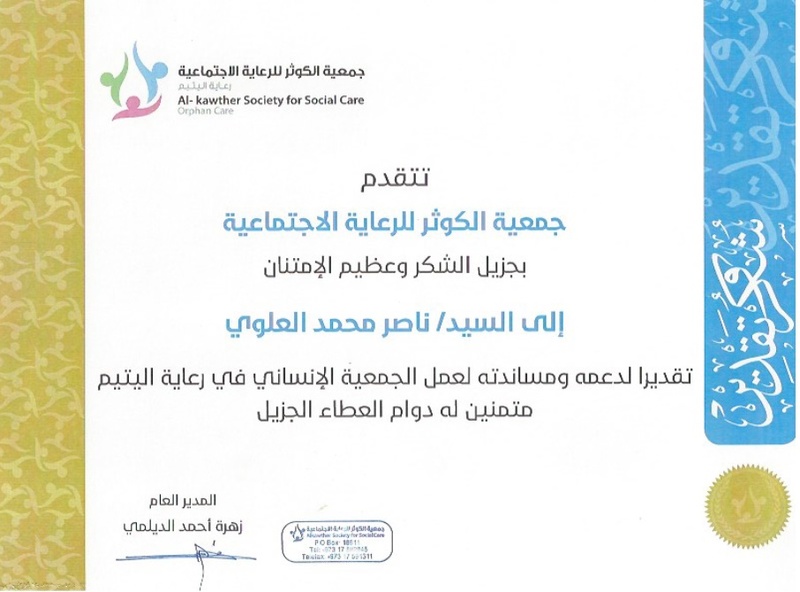 The second charity of choice who also agreed to be part of our fun event is Al Kawther Society for Social Care, their main focus is to empower and educate children who are orphans through specialized programs along with providing them with the required treatments. 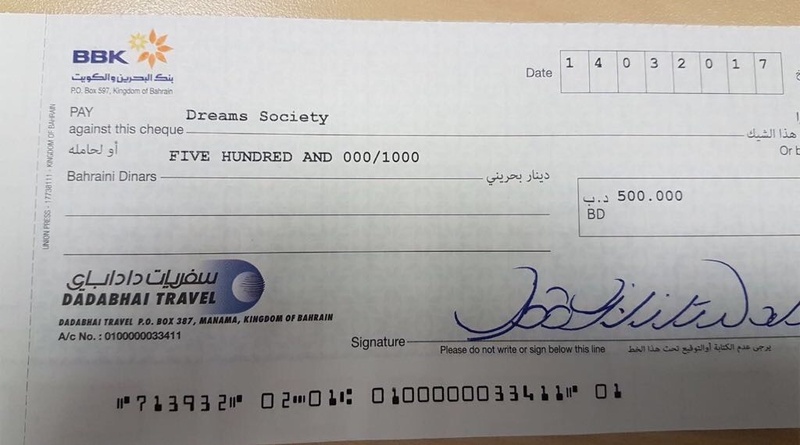 Note: BHD 62.18 were donated to Dream Society in cash. Communication is a key factor in the success of projects, and by communication we mean the information exchange whether it is in face to face meetings or through a WhatsApp group, project teams should agree on a convenient way to communicate to ensure that all stakeholders are up to date with the progress of the project. Always think of the approvals required for your project, even the simplest activities might require the consent of the parties involved, so be proactive and seek the required clearances from day 0 of your project in order to get it on time. Last but not least, always remember that the purpose of your projects are either charity or increasing awareness, so please have the willpower to face all the challenges that will arise and have fun doing so. 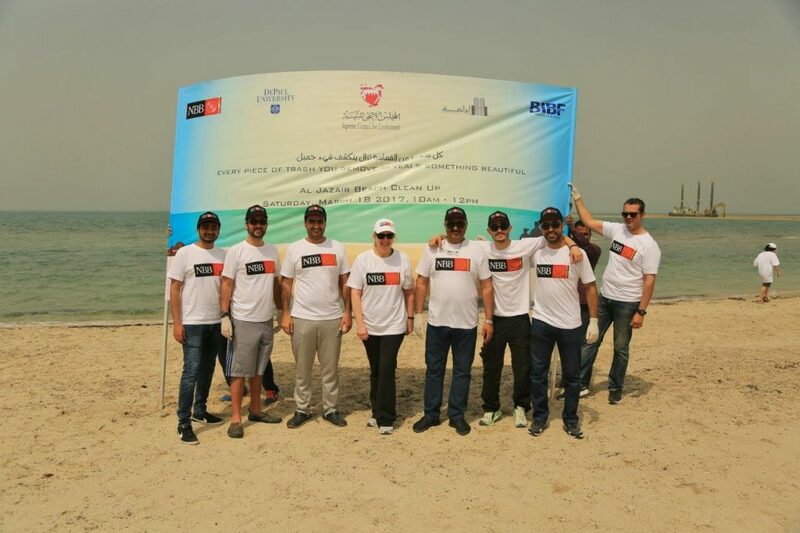 Our event is community service project to clean-up one of Bahrain’spublic beaches. The beach we chose was Aljazair Beach for our childhood attachment to it and memories of being taken there as kids. 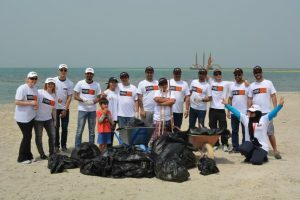 The main focus is to promote the sense of the community coming together to keep a clean and hygienic environment in Bahrain, especially in public recreational locations. 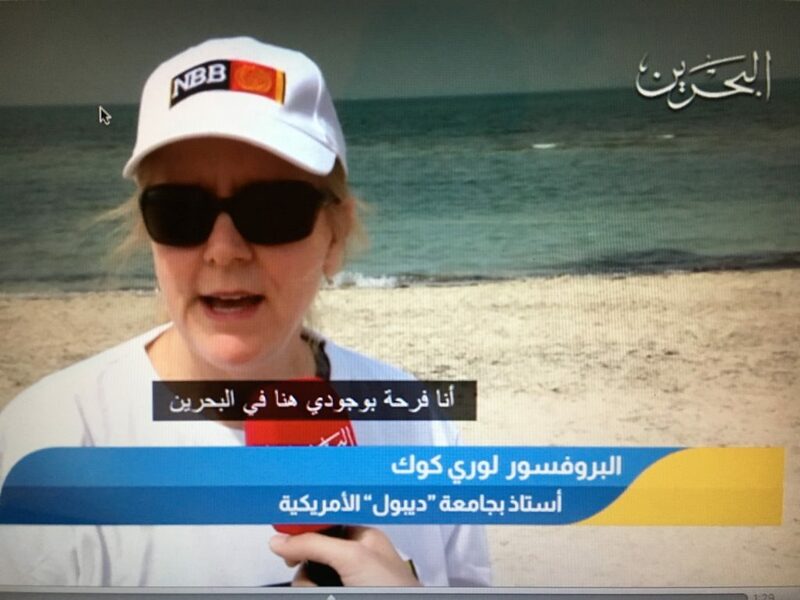 The purpose of our project was to shed light on the importance of protecting Bahrain’s natural and communal areas. 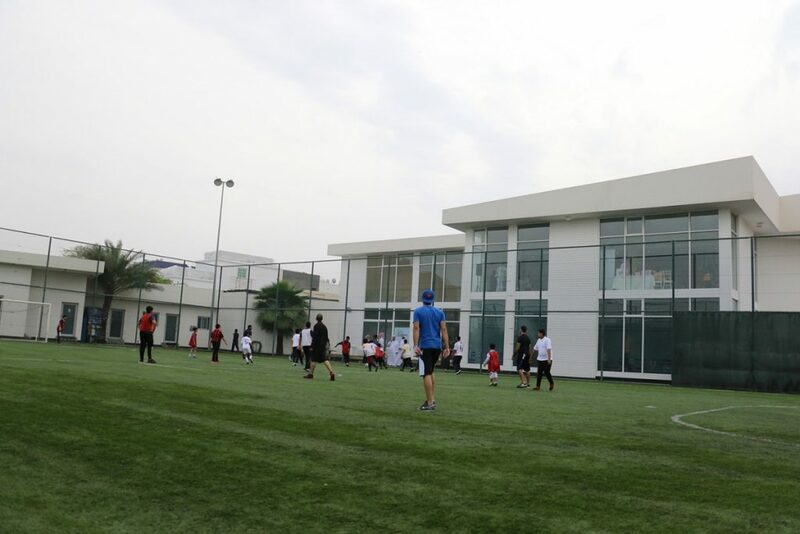 Giving back to our community and environment was the driver behind our project. Public recreational areas always tend to suffer from neglect and misuse. The actions of a few people harm the image of the country and make it difficult for the masses to enjoy the public areas in the Kingdom. 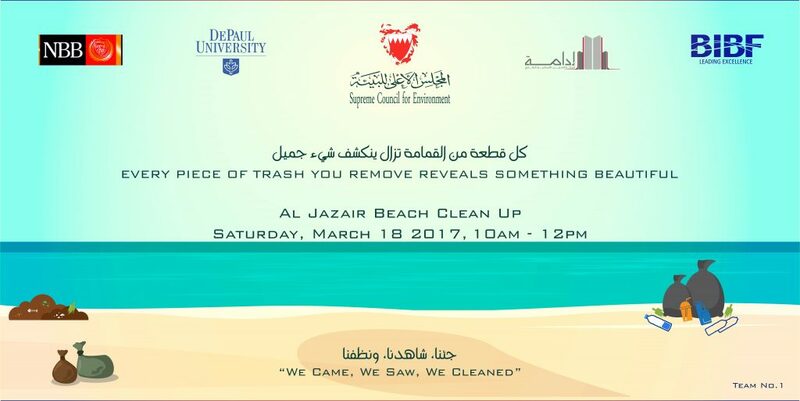 As a result, we focused on providing a social service by bringing the community together with a message of keeping our country clean. 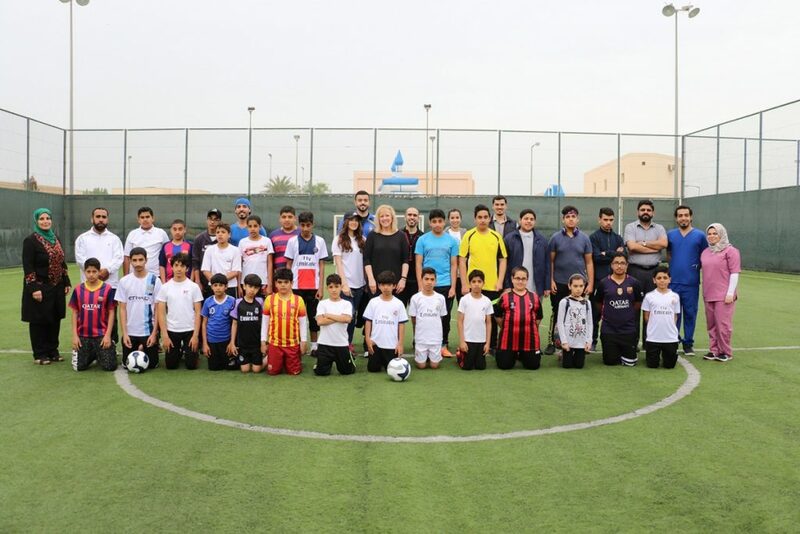 Bahrain Down Syndrome Society (BDSS) joined us on our event and the kids enjoyed the day out in the beautiful weather as much as we did. Despite having practically two weeks to propose, organize, and implement our event, the turnout exceeded our expectations. Initially, given the time of year, weather is very unpredictable. To make things worse, the day before was cloudy and rainy causing further concerns that the cleanup would not be a success. The higher the number that attend, the more area we would be able to cover. 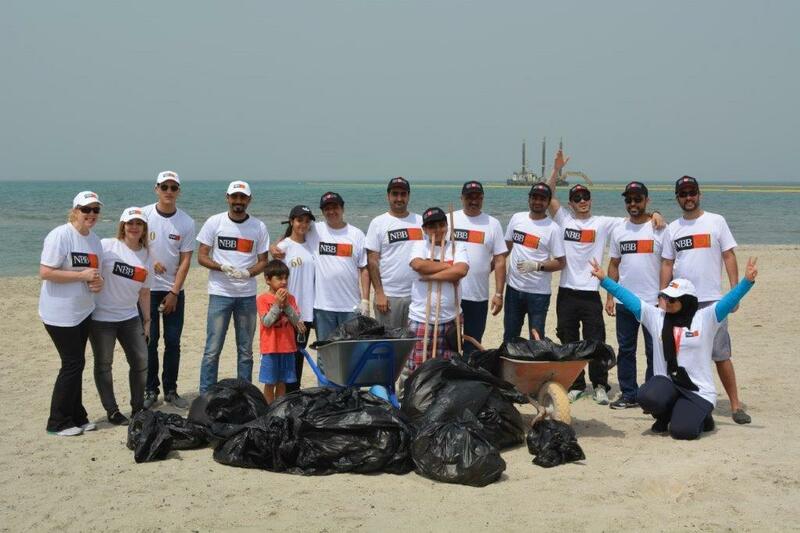 Thankfully, we successfully covered almost 1 kilometer of beach in 2 hours time with approximately 80 attendees. 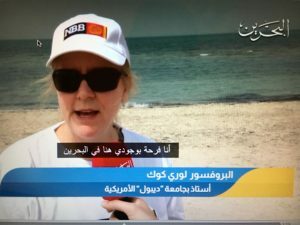 Highlight of our campaign was Bahrain TV covering the event and compiling a 3 minute video that was shown on national television to spread our message of keeping Bahrain clean. Keep it simple: Any project, regardless of how simple it may seem at the start, ends up being much more complicated than expected. The details that need attention and are crucial to the success of the project must be tackled one at a time in an orderly manner. Plan it well & Communicate effectively: Use work breakdown structures and allocate resources efficiently. 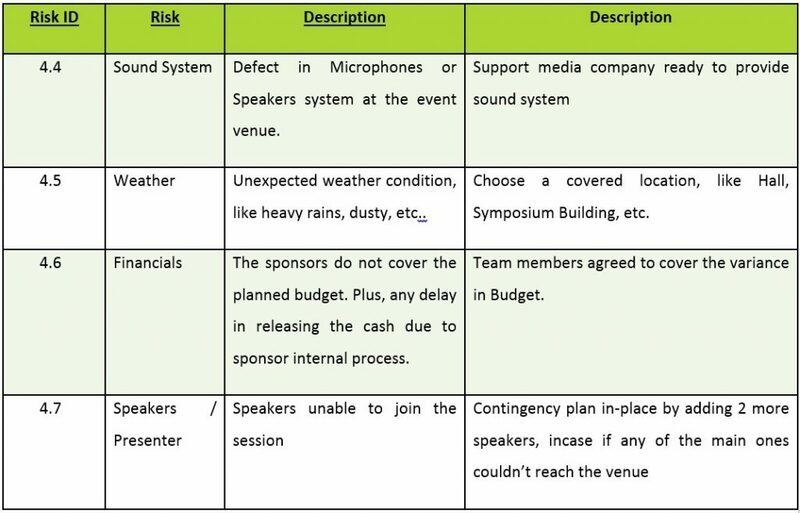 Through work breakdown structures and brainstorming using “sticky notes” different group members come up with different ideas key to the success of the event. 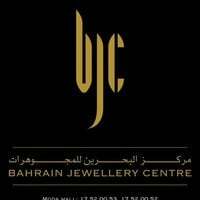 Each item needs to be organized properly and implemented in an orderly manner. For example, approvals and coordination between the various entities to understand what are the resources supplied and what resources need to be acquired. 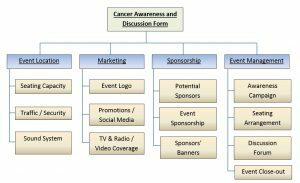 Another example is you cannot start purchasing things required unless you get a sponsor on-board and know exactly how much they are ready to contribute with. Do not procrastinate: Procrastination is the most dangerous and hurdle. Specially given we had just over 2 weeks to plan and implement, there is absolutely no time to waste. From day one everyone had to contact his or her sources and get the ball rolling otherwise time just passes by so quickly. Open communication: Every person & every idea counts. You must begin with meeting, discussing, brainstorming, and researching. Communicate openly with one another to develop a workable goal to be achieved. Look within: Start by thinking how you can capitalize on existing networks within your group. 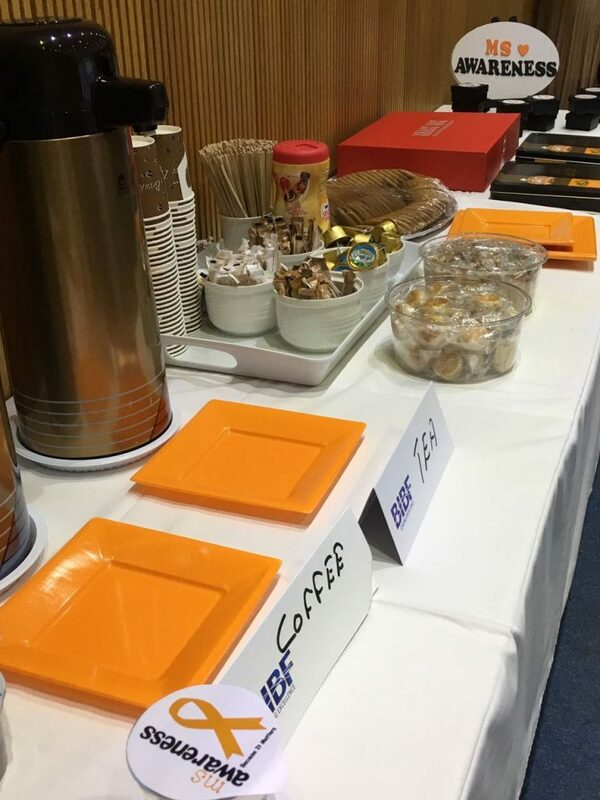 From obtaining approvals, to being snacks and refreshments, networks are extremely crucial. Do NOT waste time: Every minute counts and times is a one-way highway. The event date is closer than it appears; do not waste time procrastinating or postponing. Spend as much as time as required to plan and plan well. 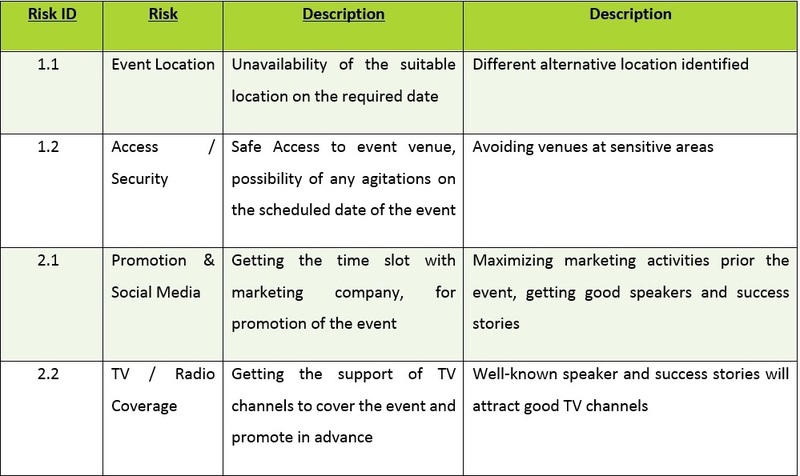 Keep it as simple as possible: Organizing an event is never an easy endeavor to undertake. The complexities that arise when dealing with the fine details are difficult to foresee and tackle. The more parties involved, the more complicated the event becomes. Hence keep it as simple as possible, towards the end you will realize that what you initially thought was easy is not so. 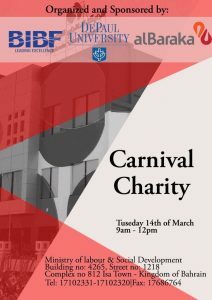 The project’s idea was to run a carnival for charity event, which revolved around two main objectives, The First Objective is to create awareness regarding the cases of students who have learning disabilities and require a rehabilitation process in order to blend in with society. 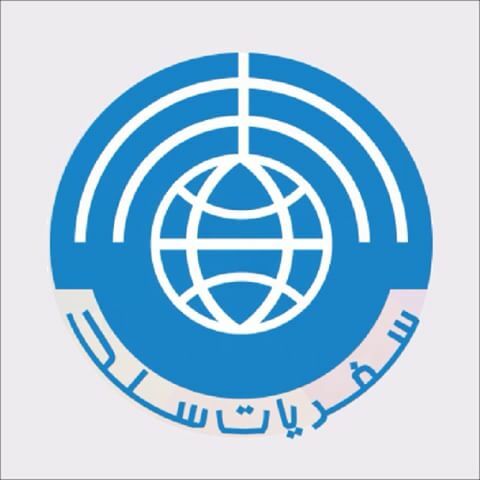 The second objective of the project is to raise funds for the sole purpose of donating to the charity organization. 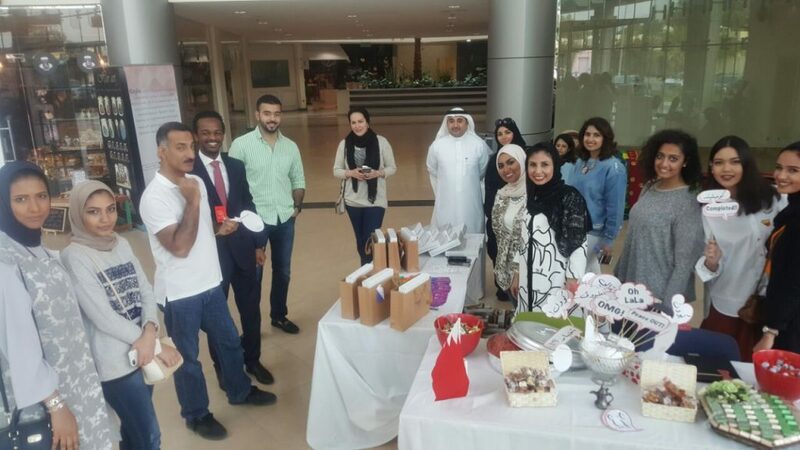 The funds are to be generated on the day of the event through selling food such as corn, popcorn and various other items to the participants of the event. We have chosen the Academic and Vocational Rehabilitation as our charity organization. The center is considered as a semi government entity that supports students with various disabilities, be it physical, or learning disabilities. Thus, the event had to take place within the property of the center. 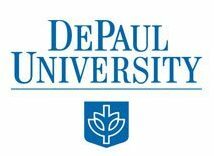 This organization accepts charities or donations in any form, be it through providing a service to the center, donations, or items that the center might need to further aid the rehabilitation process for the students. The center has approved the event to be held on Tuesday 14 March 2017. 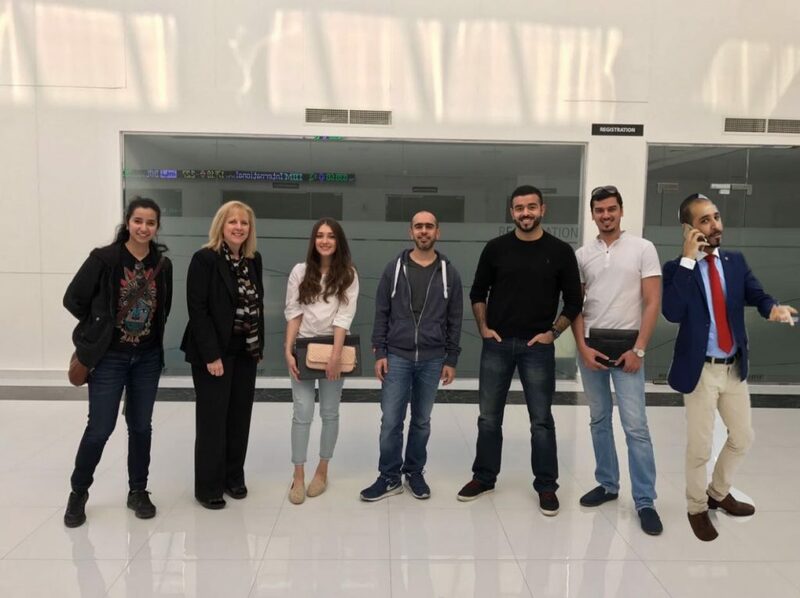 The team met with the management of the center and explained the idea of the project and the purpose or objective that the team was trying to achieve. 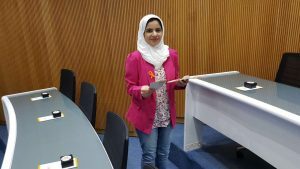 Throughout the initial meeting, the center emphasized the importance of the privacy of the students, as they requested the team to limit the publicity of the event in order to ensure that the environment on the event day is controllable. 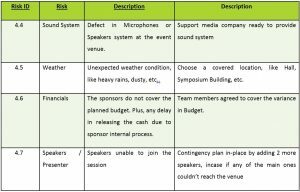 The team managed to hold the event with no major problems due to sticking to the responsibility matrix and risk response matrix. 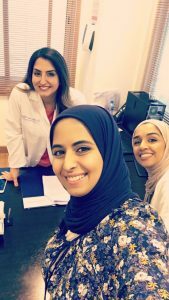 We devised a detail plan of action and risk assessment to ensure that everything was taken care of and ensuring that team members are fully aware of the tasks assigned to them. 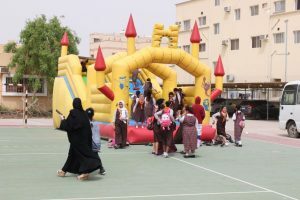 The only major risk that was present on the day of the event was the risk of having bad weather (namely dust storm and rain on that day), which the team overcame by having a backup plan of shifting the event indoors. 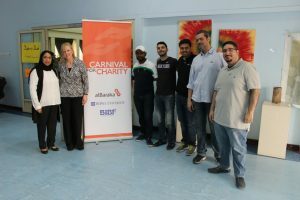 As the weather settled down, we managed to have the event indoors and outdoors which allowed more activities to be held throughout the carnival. The team set out with two main goals and objectives, we set out to accomplish them by devising a detailed plan of action that included a work breakdown structure (WBS), responsibility matrix, risk assessment matrix and response matrix. 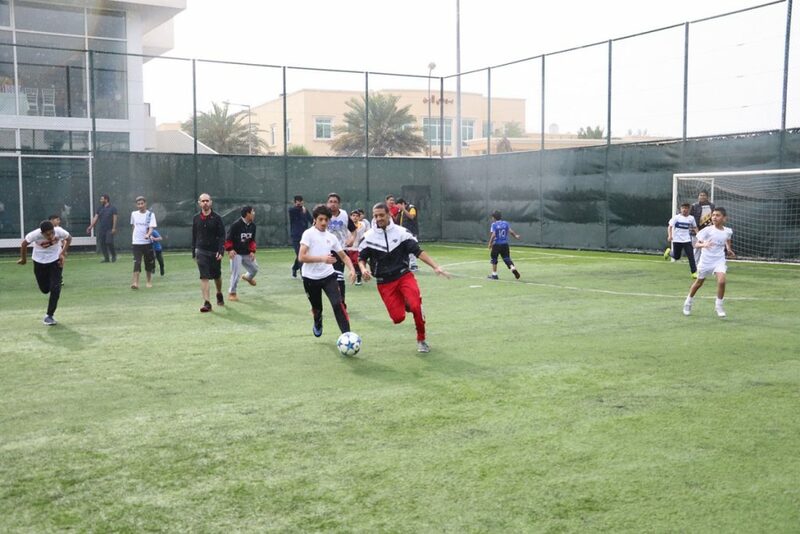 Our main goal was to raise awareness for children who have learning and physical disabilities, as the targeted number of participants was 150 participant. 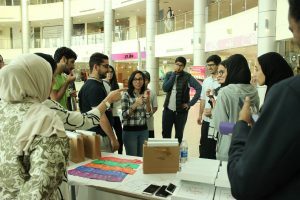 The second objective was to raise a minimum of BD 100 on the event day from selling goods, consumables, and tickets for activities. 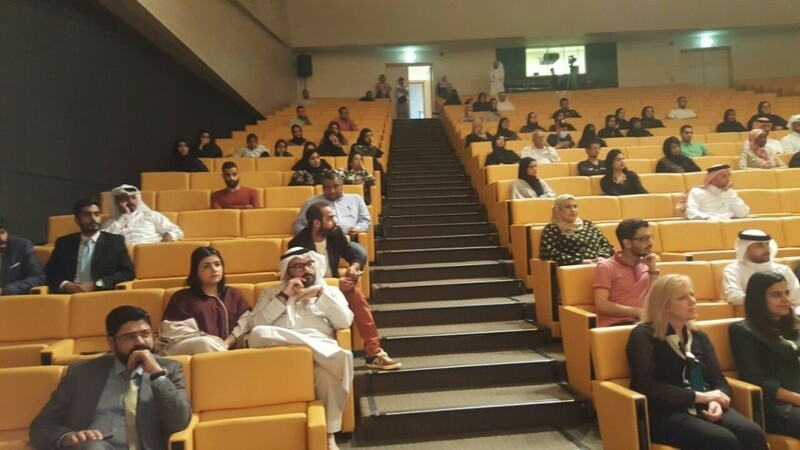 We were successful in meeting and exceeding the objectives that we initially set, as the number of participants reached 457 on the day of the event. 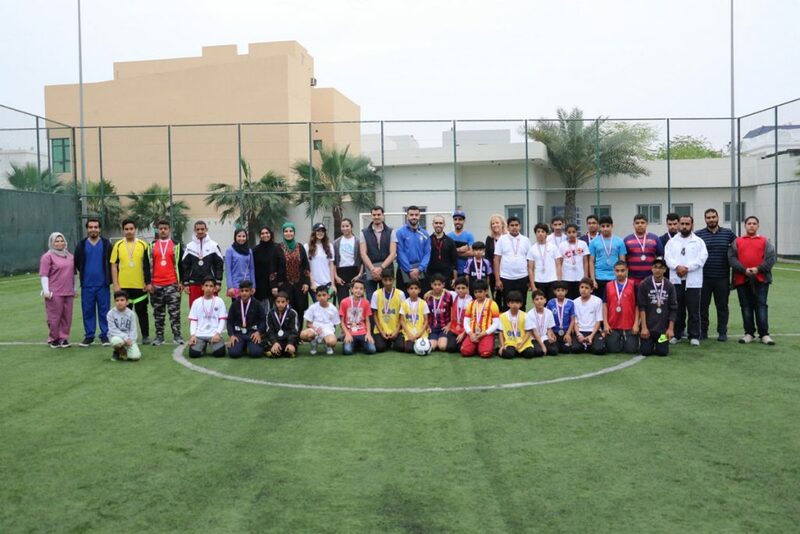 In addition, the total revenue and donations that were gathered on the day of the event reached BD 1,195. Nothing is set in stone – the nature of projects is extremly unpredictable. Our team faced a hiccup in every step that we took in order to secure the delivery of our project and it was not a smooth process as we had planned for. Take time to plan, but do not over do it. The nature of the project does not allow you enough time to over complicate objectives. 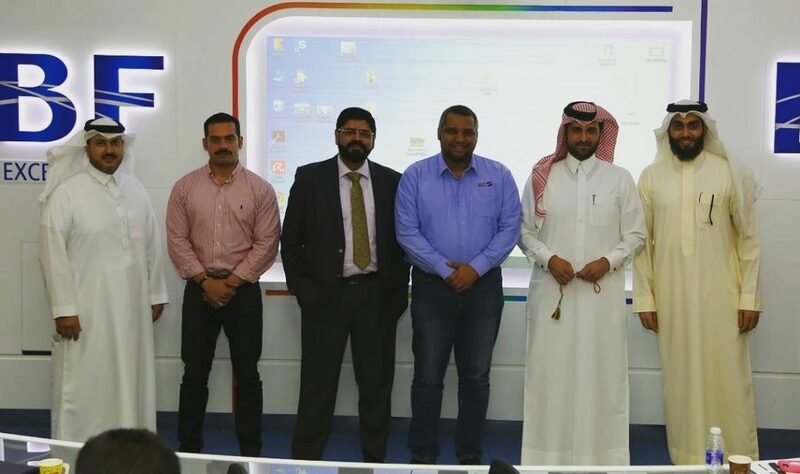 Our team has come to an agreement on the second session due to the time constraints of the project. 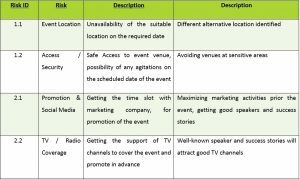 in addition, keep in mind that time openings for specific venues may not be in your favor as there are other teams who are on the lookout for a venue for their projects. Communication – ensure that everyone is aware of the latest updates as soon as you can. The reason for that is that you do not want to waste time on tasks that are already completed by other members as your team cannot afford it due to the time constraints that you have. Ensure that you have everything in writing. Having plans, matrixes and all over project related items in writing will smoothen the process and workflow of your project. The importance of documentation is often underestimated, as without documentation, our plan was surely to be in flux. Our team had one member who documented every plan, matrix, table, cost, item that was required for our event, and that has helped us achieve our goals. Always have a backup plan. 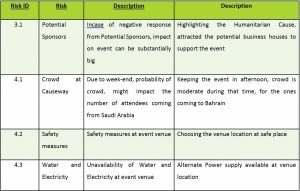 This relates to the various risks associated with projects, as there are factors that are out of the team’s control that could potentially jeopardize or even cancel the project as a whole. Keep the ball rolling – Do not give up if a sponsor or a vendor rejects your request. Many teams face issues when they do not get approvals or acceptance from third parties, so it is always good to have a backup plan and keep seeking alternatives. 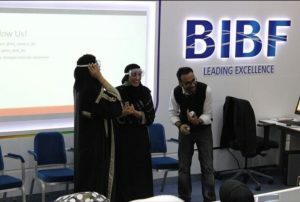 The aim of our project was to produce and promote a safety training video targeted at women and families. 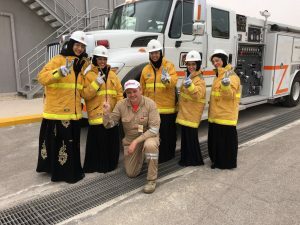 The safety training video was filmed at National Fire Science Academy (FSA) in Jubail (Saudi Arabia), in accordance to National Fire Protection Association (NFPA) standards which are utilized throughout the GCC region. The video focuses primarily on tackling incipient (basic) incidents that may occur in the home. The promotion of the video was through various social media channels and a charity organization. 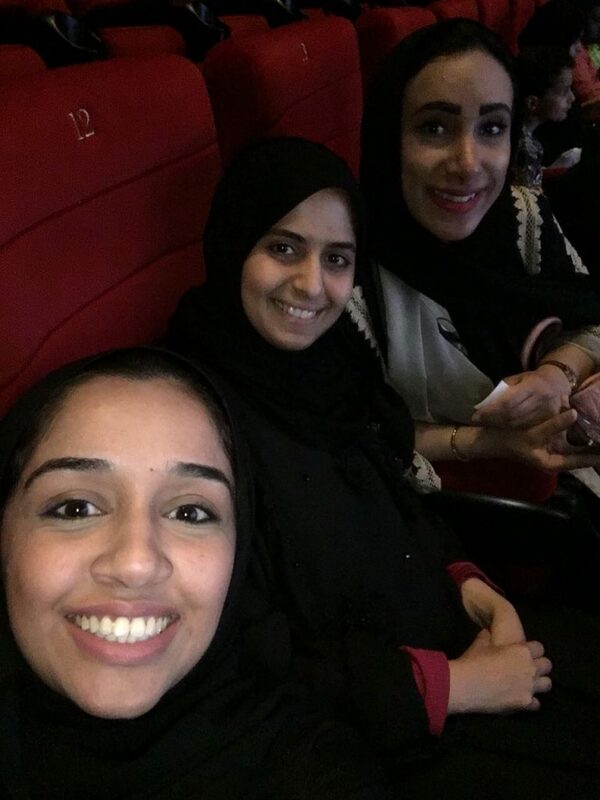 Our project team traveled all the way to Jubail, Saudi Arabia for a day to shoot the video. 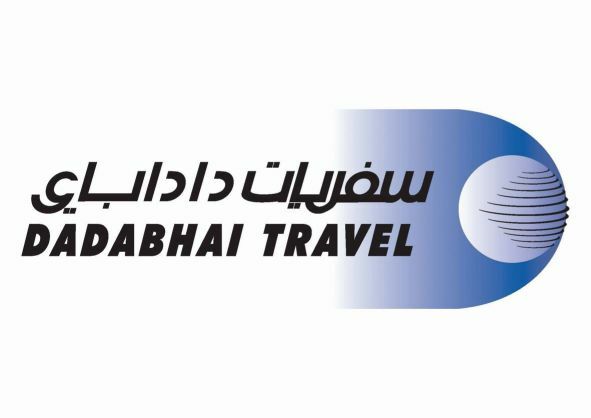 The trip helped the team members to even better understand one another and create a stronger bond among us to tackle and be able to achieve our group goal as one strong team. 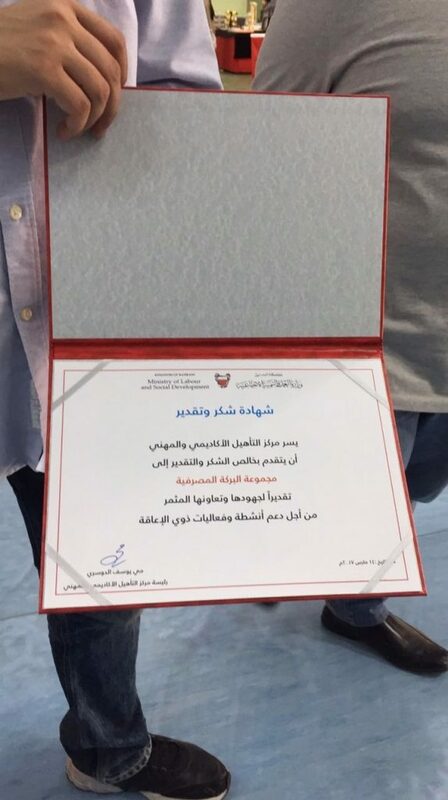 The Muharraq Communal Society was established in 2004 in the Kingdom of Bahrain and its headquarter is located in Muharraq City – Bahrain. 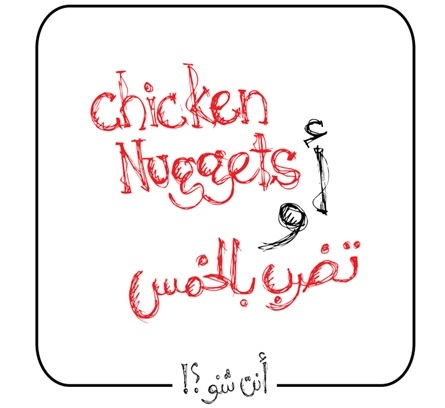 Contribute in spreading awareness among the people living in Muharraq about their social rights and responsibilities. Contribute in supporting the economic, cultural and social programs that benefit the citizens and push the country’s development forward. 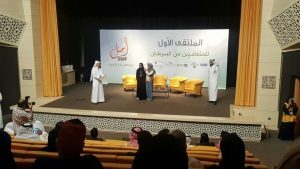 Seek to maintain the historical unity of Muharraq and work toward protecting it. 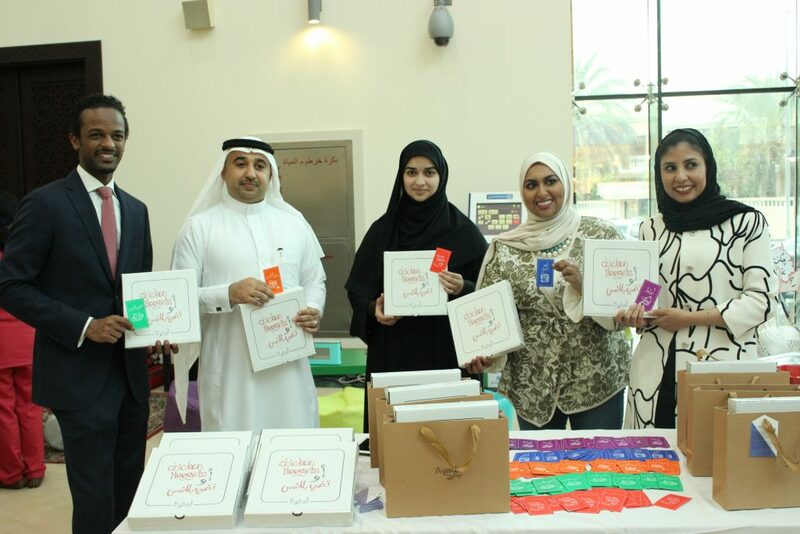 Spread the concept of team work in the national and volunteer activities. 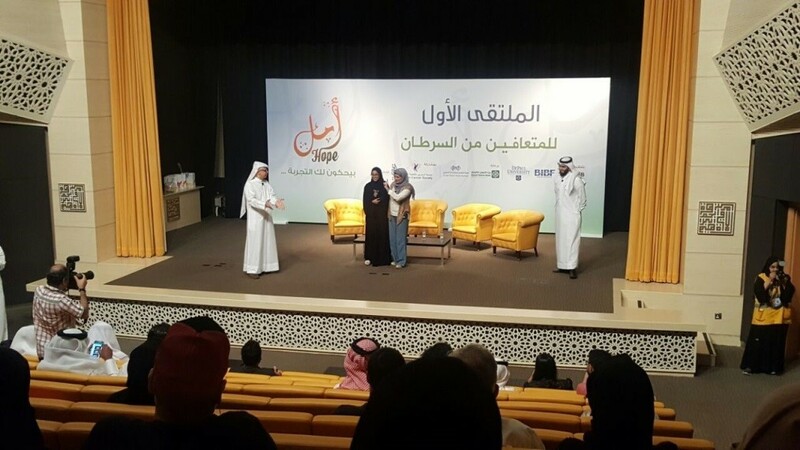 Spread the awareness among citizens about the role of the constitutional institutions and municipal councils. 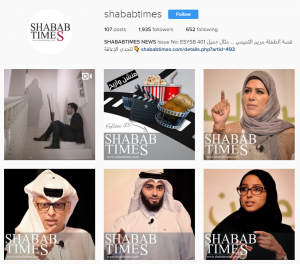 Obtain a total of 600 views of the video from all media channels (i.e. 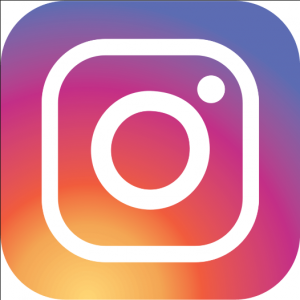 Instagram, snapchat and YouTube). 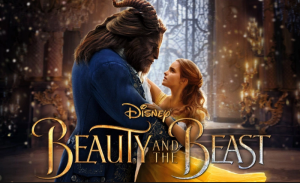 Obtain an approval of one charity organization to promote the video through its media channels. We got an agreement with a charity organization to post and promote through various social media platforms. We have successfully produced 3 safety training videos, one that is 4 minutes long and two that were 1 minute long each. Total views exceeded all expectations at 30,000 views! We learned that it is necessary to have a project charter and a project management plan at the beginning of every project before we start executing. Having a clear plan will save a lot of time in execution and is helpful to make all the team members aware of the project progress and focused on each task. 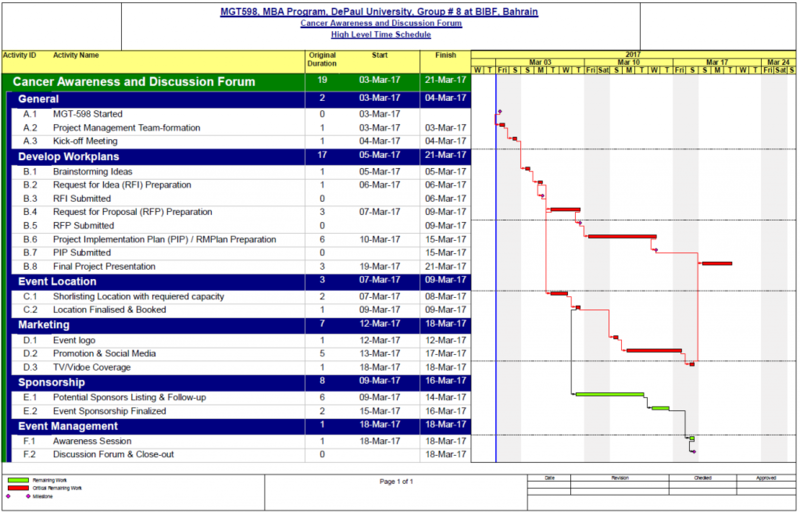 To manage a successful project we need to have a clear plan that includes an identified scope, where each task is assigned to a team member and is allocated a specific timeline. We learned that communication plays an essential role in managing projects. The message has to be clearly conveyed to team members to avoid challenges. The project manager alone cannot make a successful project, the role of the team members is of equal importance. Identify the areas of strength for every team member from the very beginning of the project in order to assign each task for a suitable member. 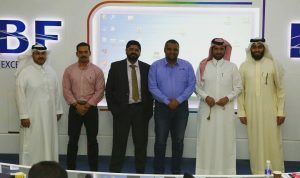 This will increase the efficiency, the commitment and the fulfillment of each team member. Everyone will be happy and enjoy performing the assigned task, which makes the execution both successful and fun! Start your project with planning and not with execution even if you are extremely excited! Put the plan in front of you first. Make sure that all team members contribute to the plan and have read and understand the plan. Have a clear specific scope, be clear on what product or service you want to provide. Stay focused on your scope even if you encounter better ideas while you are executing the project. Remember that you have a limited timeline and you don’t want to experience scope creep. Learn as much as you can, working in a field project is an amazing opportunity to learn how to manage a life project. It is an opportunity to learn how to be creative, how to react in case of a crisis and how to focus under time constrains. You can learn from other project team members and you can learn from the nature of your project itself. In case of our project, all the team members learned how to fight fire at home! 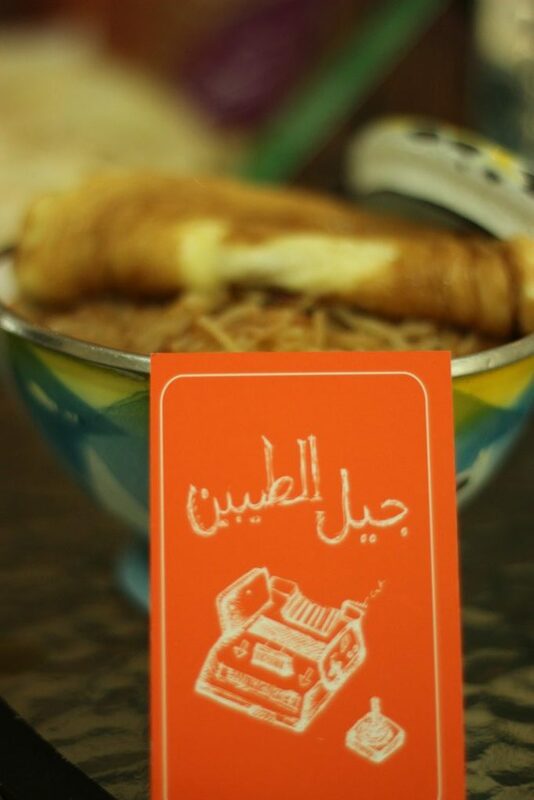 we learned this new skill during the execution of the project while filming the video. Enjoy every moment, during every task with every team member. Have fun! It is your project and not anyone else’s. Think of it as your contribution to the world and as your pride. Work with a positive spirit, keep a big smile on, appreciate your team members, motivate each other and work closely like a family.